My name is Jake Pierson, I am a senior at Chenango Forks High School, and I am debating on whether i should go to SUNY Oswego or stay local and go to SUNY Broome. I am also a student in the New Visions Business Academy. The New Visions program is a class that allows for select advanced students to get real world experience in the field of work they wish to go into. I get to go out to businesses in the area and learn how they work and what they do to be successful. 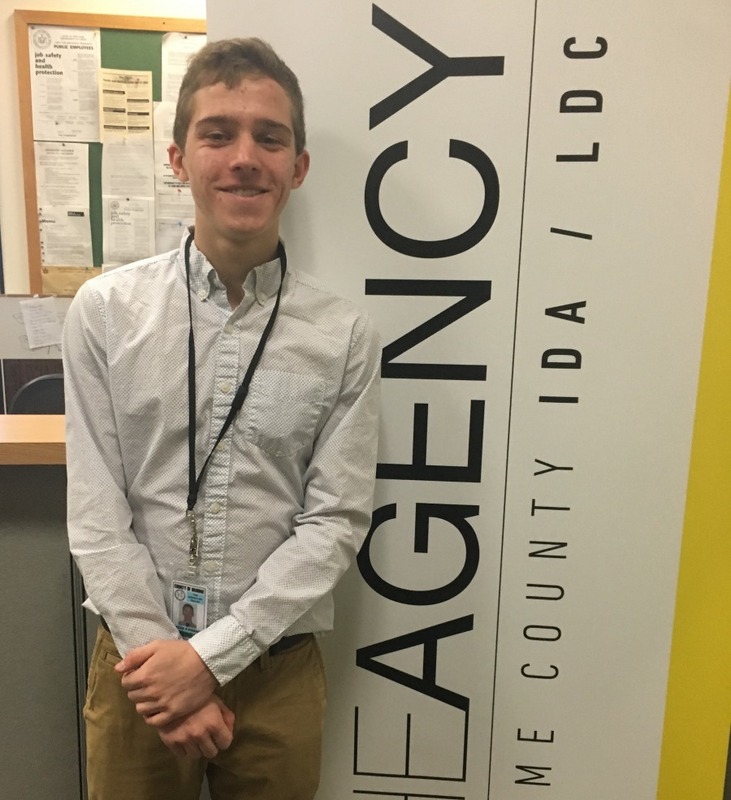 Right now I am on placement at The Agency, which helps businesses in our area grow. My business class was also required to start a business, and we named our company Trading Creative. After 3 months our company was then required to liquidate everything, and we had a total of $6000 that we had raised. We gave $4000 to local charities, then paid ourselves and our stockholders. This experience really was able to help me see how hard it is to run a business, and my company was tax free! I hope to learn more about how The Agency works with businesses to help them grow. Broome County is growing! I love how much history this community has with economic success, like IBM and The E.J. shoe company and now the Dicks Sporting Goods Distribution Center. All these businesses make our area shine. I would stay here to start a business to keep our area thriving.